With a history dating back more than 2,000 years, Barcelona has long been a cultural, social and economic hub within Spain and Europe as a whole. Influential in sport, education, media and the arts, the city draws tourists from around the world and offers a wealth of exciting attractions and interesting things to do. The Plaça de Catalunya serves as a centre piece to Barcelona city centre, with many beautiful sculptures and works of art, whilst also hosting a number of hotels such as the Hotel Olivia Plaza that offers generous balconies overlooking the square. Culturally, Barcelona city centre offers many places of interest and boasts a rich artistic heritage. Most famously, Barcelona has become the masterpiece of Antoni Gaudi who's works can be found all over the city. The spectacular Sagrada Família is still being built more than 130 years after its initial inception and is one of the most iconic churches in the world. The Hotel Sagrada Familia has fantastic views of the building and the continuing work that is underway, giving visitors an unparalleled view of this wonderful piece of architecture. Barcelona is located on the Mediterranean coast and enjoys a warm climate with plenty of sunshine. 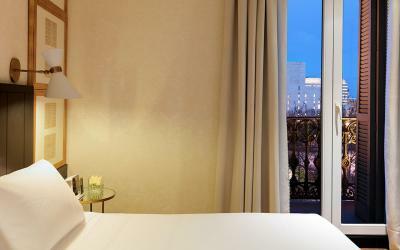 Hotels are available in Barcelona city centre and also, like the Hotel Bel Air, on the beach meaning tourists can enjoy the best of the bustling city and also the sun, sea and sand of the Mediterranean coast. Getting around the city is also easy with the extensive metro system and bus network that will help you get from your hotel in Barcelona city centre to any one of the many attractions, such as the Nou Camp, Home to footballing giants FC Barcelona. Barcelona city centre is also home to many world heritage sites including the Casa Vincens, the Hospital de Sant Pau and the Palau de la Musica Catalana whose architecture is typical of Catalan modernism. 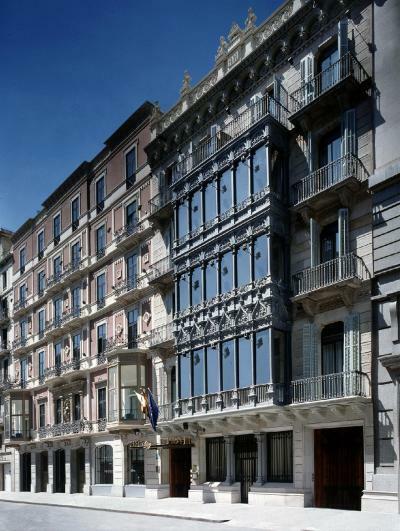 There are many hotels which offer easy access to these sites and Barcelona city centre as a whole, including the four star Hotel Catalonia Plaza Cataluña that retains many original, architectural features.